You are here: Home / Reviews / Is The Leatherman Crater C33X The Best FOLDING KNIFE Under $20? Is The Leatherman Crater C33X The Best FOLDING KNIFE Under $20? 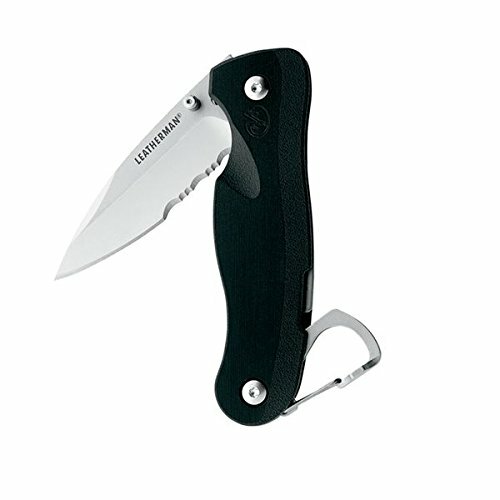 I have used the Leatherman Crater C33X for about a week now, and I must say I am really satisfied with it. I have used the knife everyday this week and it is keeping the sharpness very good. 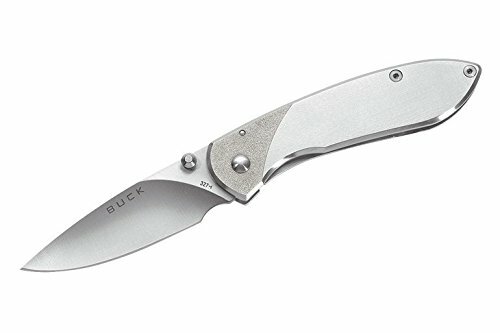 A folding knife for the price around $ 20 and I must say I am confused, how can it be so good? It says it’s made in USA but it has the price like if it was made in China! The quality of the knife is so good that it is impossible that it´s made in China! It has to be made in the United States of America! The knife is stable and does not slip. It fits well in your hand and you get a good grip on it. It is easy to use with one hand. It’s legally big so it can fit into your pocket without any problems. Because of the shape of the blade, I’m worried that it may be a problem when I have to sharpen the knife, I do not really know how to do it! So, to get it done properly, I need your help! Please comment and give me tips on how to sharpen the knife properly. After one week of use, it will be needed. to trap with one hand. Leatherman Crater C33X feels more stable and easier to use. It also has a very good clip that allows you to attach it in, for example, the belt or your pocket.